Why "Skip"? - Read about how I got "stuck" with the nick-name of "Skip". 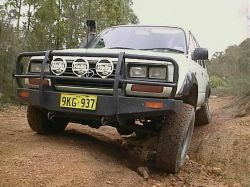 4WD Clubs - I have spent several years on the committee of a local Perth based 4x4 club, consisting of a small group of enthusiasts who are passionate about 4WD'ing, and about promoting correct procedures. Although no longer a member of this club, I continue to endorse the "Tread Lightly" philosophy, and are keen to ensure that tracks stay open to the public, so that our children are still permitted to visit our forests for recreational use well into the future. Closing the forests is NOT the answer. 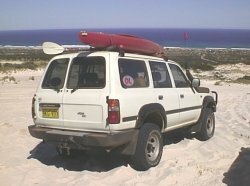 My 4WDs - Information and pictures of my previous and current 4WDs, showing my evolution from my original Toyota Landcruiser FJ55, to my current Toyota Hilux Turbo Diesel. 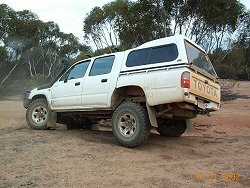 Skip's 4x4 - This site - My huge collection of awesome photos and trip reports, from my many 4wd trips, including trips with a 4x4 club, and plenty of general 4WD information. This is my main and biggest 4x4 site - a must see! My Toyota Hilux Turbo Diesel page - This contains full information about my Toyota Hilux turbo diesel, which I bought in 2002. This page includes specs and photos of it's fit out, getting it ready for my outback adventures. 4WD Encounter - Mark and I have put together this web site which contains comprehensive information about Four-Wheel-Driving, with a focus upon Western Australia. It has info on new vehicles, 4WD techniques, tracks to test you, and the famous photo gallery. 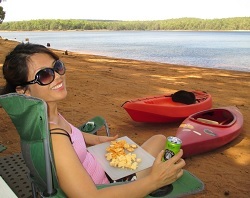 No Nuclear waste dump in WA please! Read about the proposed Nuclear waste dump, and how we can rally to have it stopped! I want my kids to be able to 4WD through this region one day! In particular, areas near the CSR (Canning Stock Route). Professional Pc Support - Visit my Computer Company's web page. 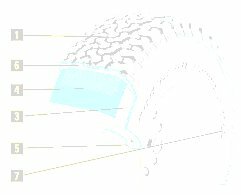 This site has information and pricing on computers and peripherals, as well as heaps of excellent links, not just for the computer enthusiasts, but also for car fanatics and also just general sites of interest. This page was last updated on 19 Mar 2015.